With a foreword by Athene Donald, Professor of Experimental Physics, University of Cambridge and Master of Churchill College. 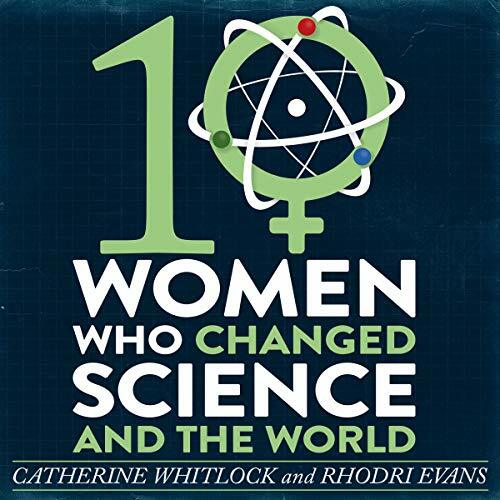 These scientists overcame significant obstacles, often simply because they were women. Their science and their lives were driven by personal tragedies and shaped by seismic world events. What drove these remarkable women to cure previously incurable diseases, disprove existing theories or discover new sources of energy? Some were rewarded with the Nobel Prize for their pioneering achievements - Madame Curie twice; others were not, and even if they had, many are not household names. Despite living during periods when the contribution of women was disregarded if not ignored, these resilient women persevered with their research, whether creating lifesaving drugs or expanding our knowledge of the cosmos. By daring to ask 'how?' and 'why?' and persevering against the odds, each of these women, in a variety of ways, has made the world a better place. Dorothy Crowfoot Hodgkin (United Kingdom) (1910-1994) - British chemist who won the Nobel prize for Chemistry in 1964. Among the most prominent of a generation of great protein crystallographers. The field was revolutionised under her. She pioneered the X-ray study of large molecules of biochemical importance: the structures of cholesterol, penicillin, vitamin B12 and insulin, leading to DNA structure analysis by Franklin etc. Great narration, well written & organized. Never knew they lived such impressive lives. Great book for everyone.